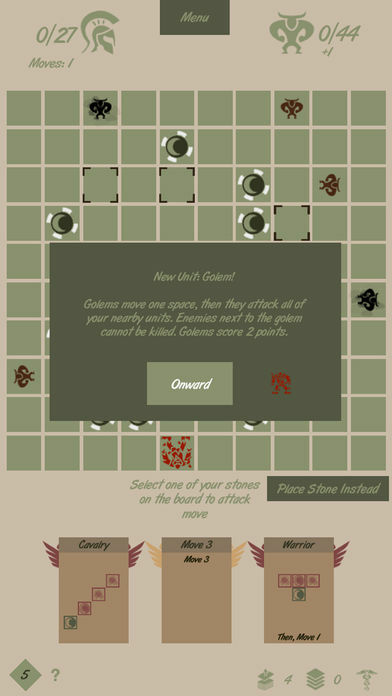 You are the legendary Minos Strategos (general of the ancient city of Minos)! 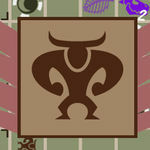 Command the defenders of the temple by harnessing the power of specific battle formations to push back the Minotaur hordes. 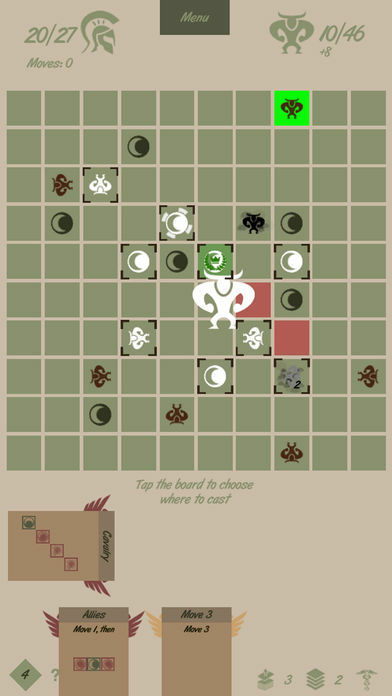 Minos Strategos is a quick, single-player strategy game with a focus on elegance and clarity. 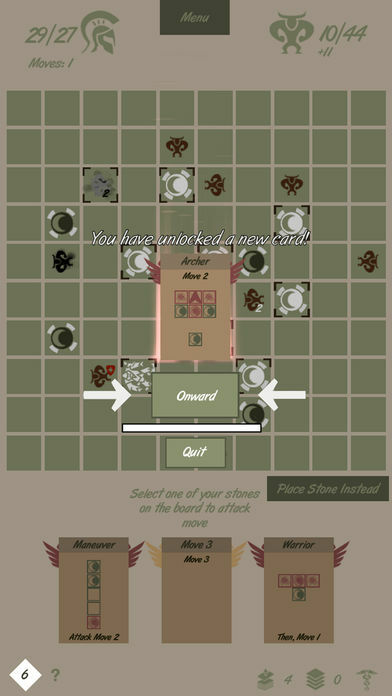 Climb the single-player ladder as you devise flexible strategies, amassing an ever-growing collection of command cards as you go! 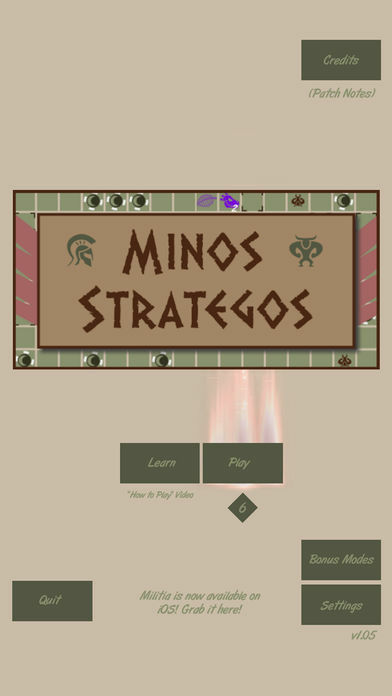 Minos Strategos rewards tactical play and quick thinking and will easily entertain for whatever span of time it is played. 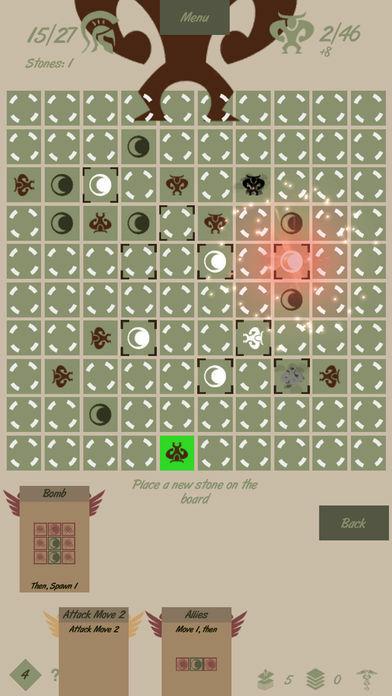 It may take some time to master the game's complexities, but Minos Strategies offers clever design and deep strategy in spades.